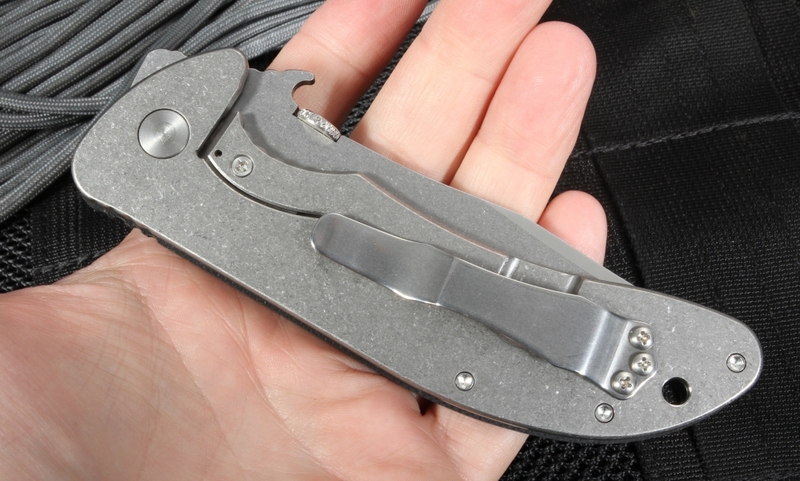 The Emerson Iron Dragon model is Emerson's most advanced folding knife to date. It incorporates a new shape and design with a framelock build and a ultra smooth ball bearing pivot. The knife is an optimal 4.9 oz, a light weight for a full size folding knife that you will want to carry everyday. The recurve blade shape on the Iron Drag on is a black coated 154 CM steel with a rockwell hardness of 57-59. The blade opens ambidextrous thanks to the thumb disc that is mounted on the spine. The blade also features the patented wave feature for extremely fast opening out of the pocket. 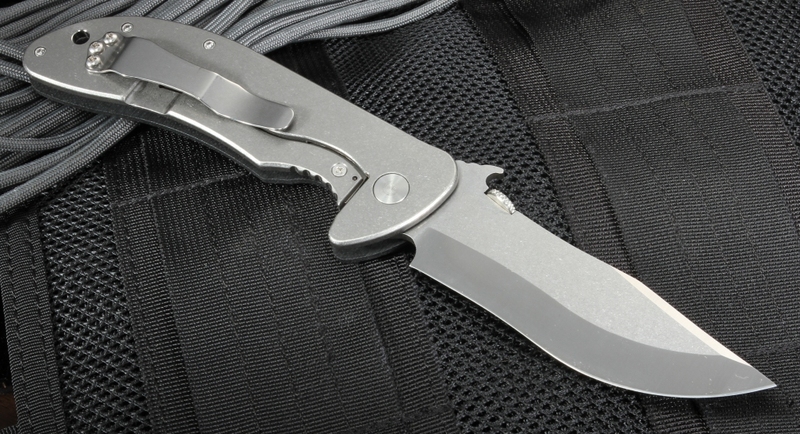 A key feature of this knife is the framelock construction. 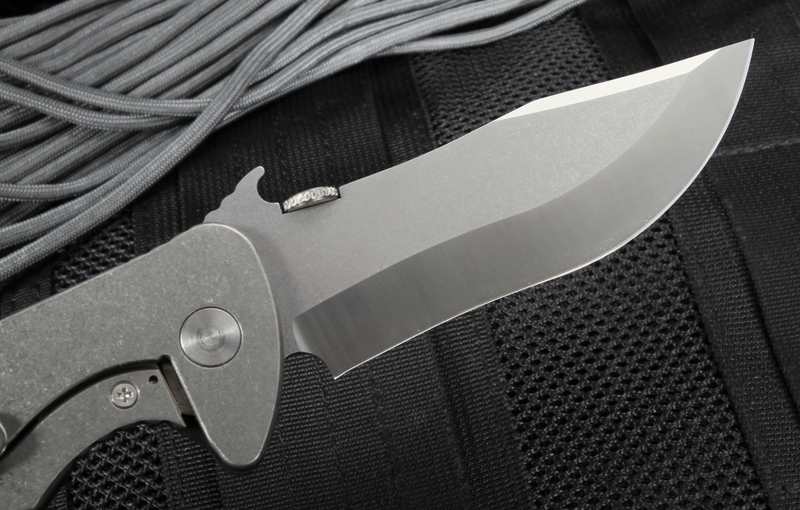 One side of the handle is stonewashed titanium and the other is black G-10 with a light texture. 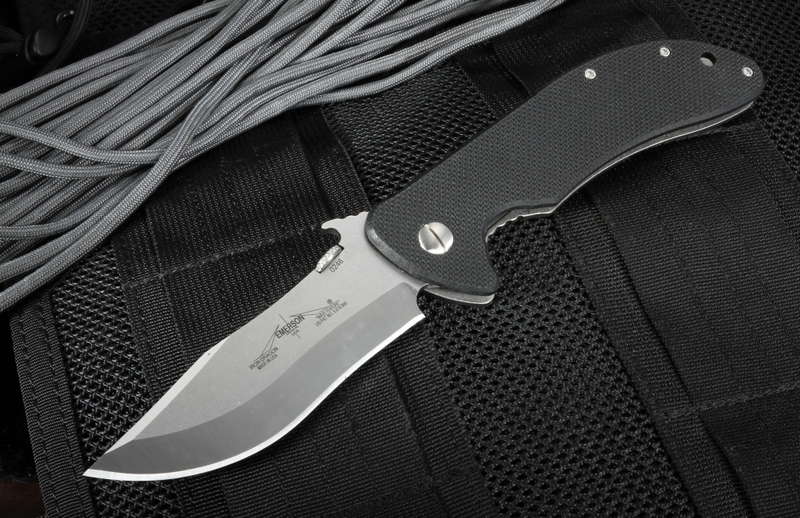 The lock bar on the Emerson folding knife has a stainless steel lock bar insert that does two things; prevents lock stick (titanium galling) and provides a hardened surface that will provide a lifetime of repeated opening.